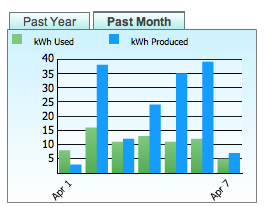 The March electricity bill and meter readings show that the home was zero energy during the month. After a long and cloudy winter we are now observing surplus energy generation, which will offset the winter-use of electricity. On a related note, the energy monitor is showing that the PV systems produce at near the nominal output they are rated. 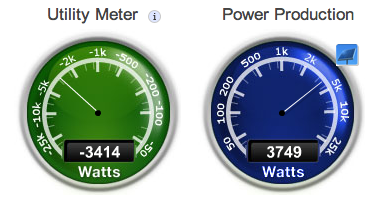 Over the last week we’ve seen 4.4kW and more out of the 4.68kW-rated arrays. 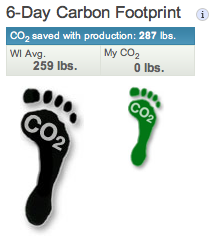 Meanwhile, we are on the quest for carbon-neutral operation. Again, with a very cloudy winter that yielded neither great passive solar heat gains, nor plentiful active solar electricity and hot water, we are excited to see all sources pick up now on the way to carbon neutral operation. 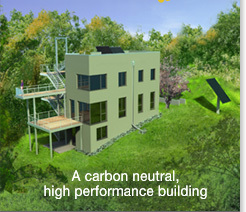 Carbon neutrality refers to a net zero carbon footprint. It is used in the context of carbon dioxide releasing processes, associated with transportation, energy production and industrial processes.